My family loves to eat pizza. When we have the chance to go the mall, we only have two choices for our snack. 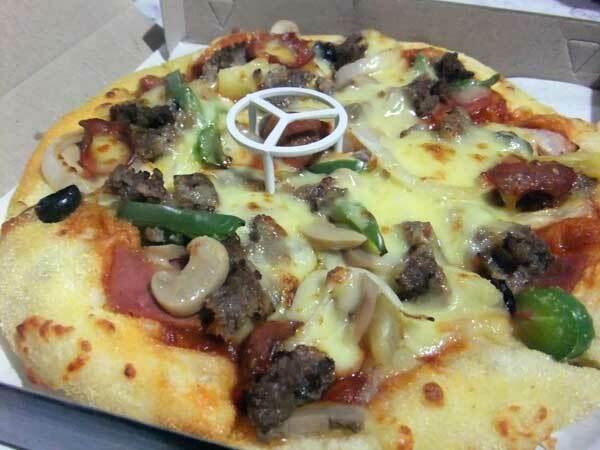 It’s either hamburger or pizza. When there is enough budget, we go for pizza (with additional order of spaghetti and chicken). And pizza would not be as enjoyable to eat without a hot sauce and chilli flakes. Yum! This entry was posted in Favorite Food, Snacks and tagged craving for pizza, pizza and pasta, pizza cravings on June 11, 2013 by Yami.